Are you too busy to train for a marathon? Join the club. For the past 10 days I've been working, getting kids back to school and preschool, driving downtown several times a day and hosting 13 family members. Oh, we went to church and Bible study too. If you are busy, you can still train for the Chevron Houston Marathon. I don't put running on hold because running means life, stress relief and so much more. Here is the day I went on a run before starting with one my crazy busy days. I am a morning runner, which means I run before the day runs me. I knew that getting long run in would be challenging because I had to drive downtown early. 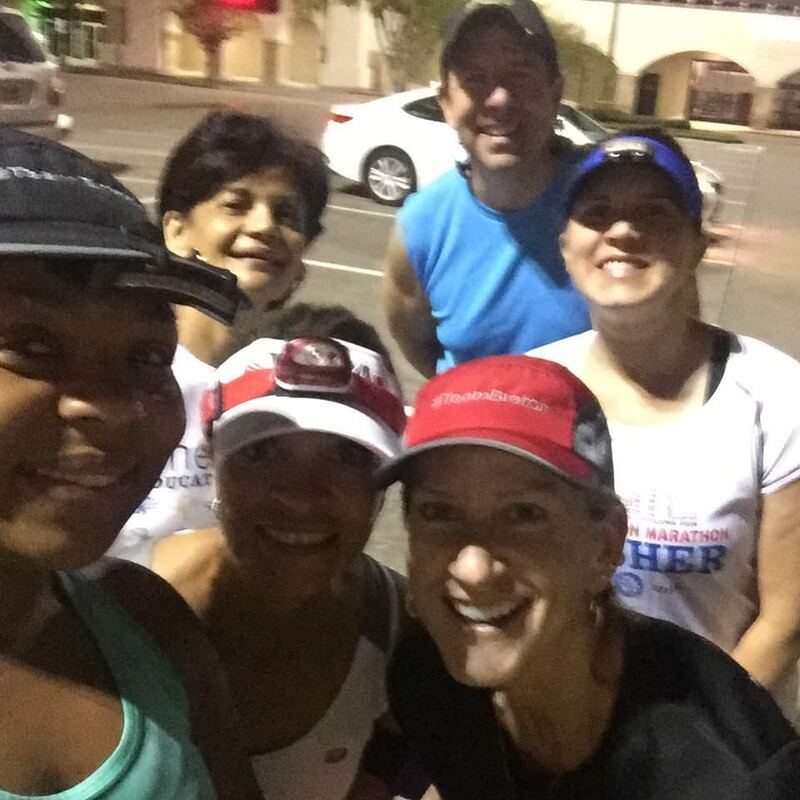 I put out a message inviting any of my friends to join me for an extra early run and a lot of friends showed up! This is a picture of us, still sleepy but ready to get 8 miles in. I am so thankful for my friends! Oh, do you see Sarah Carr to your right? I featured her last week. You can read her interview here. I thought hard and long about not running for 10 days. I couldn't justify my lack of exercise. Yes I was busy but it wasn't going to last forever. 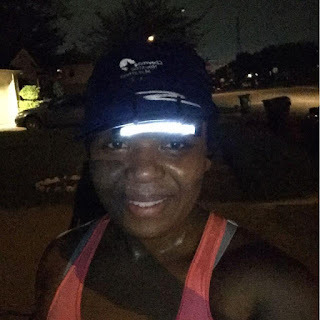 Running helped me navigate that busy season with a better state of body and mind. I also made sure I was hydrated and I ate very well. This weekend is back to normal: a 9-mile run that doesn't have to start too early. Next week I am planning on jumping back to my cross training schedule. I haven't swam in a few weeks. I also have a half-marathon next month. I plan on being ready to PR. Notice I didn't say break records but I want to run a better half-marathon than the one I ran last year. 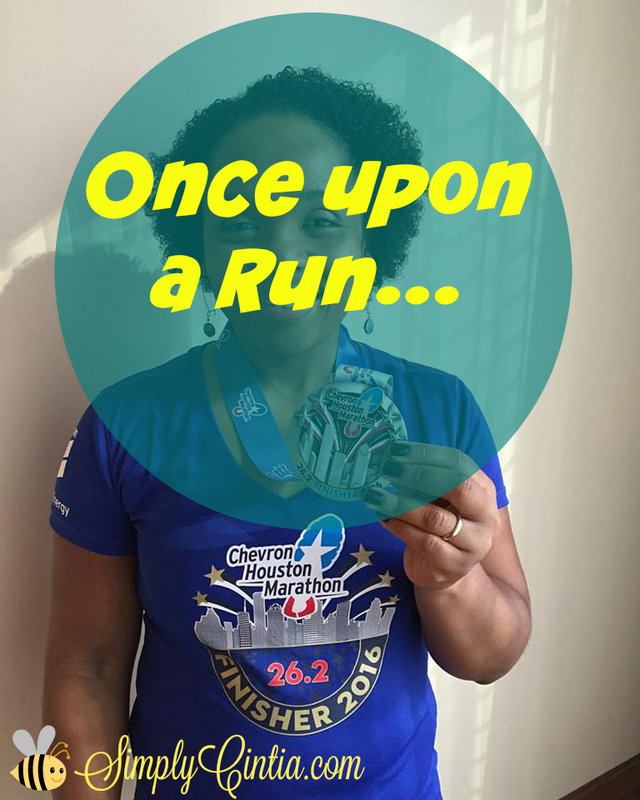 Thanks for joining me again in my journey to the finish line of my favorite marathon ever! Believe me, you can still join me and run the race with us. Click here to find out just how.